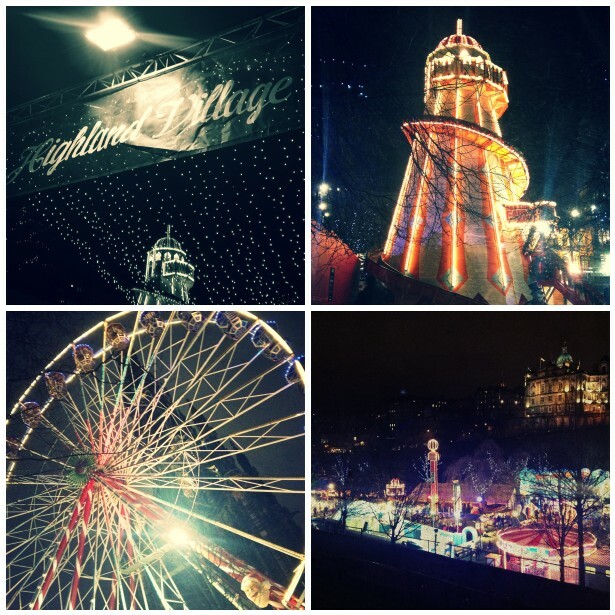 I've been to the Edinburgh Christmas Market / Winter Wonderland twice this week with two different groups of friends for a last minute catch up before Christmas. I love going for a little wander round the market, even though I never buy anything, it's just nice taking in the atmosphere and all the amazing Christmassy smells! On the Monday night I met up with the girls I went to Alton Towers with earlier this year (we know each other from back in the day when we all worked in Debenhams) - we had some mulled wine (or hot raspberry wine in my case....I didn't like it, hot alcohol is not for me!) and then went for dinner at Bar Soba, a new pan-Asian cocktail bar which has opened up just opposite my office (mmmm noodley goodness). We had planned on going back to the market after dinner to get doughnuts for pudding but when we got there it had all closed! I didn't realise it closed at 8pm - gutted. On Tuesday it was round 2 and I met up with Colin, Sam and Links (we actually all met from working together too) for more Christmas Market fun. This time I let them get on with the hot alcohol drinking and I stuck with hot chocolate instead. I also experienced my first ever hog roast roll and oh my god it was unbelievable - can't believe I've never had one before (apparantly at our old work parties we had hog roasts but I had always been too drunk by that point to notice!). Once it got to 8pm and they started shutting the place down we went onto The Dome - AKA Christmasland - for a few cocktails, and then we stood outside and filmed a little video for Jemma and James who are living in France at the moment (we miss them!). On both visits I've mainly been focused on eating and drinking things so haven't really got involved in any of the Winter Wonderland stuff like the big wheel (I'm a bit scared of it) or ice skating (a bit scared of that too!) 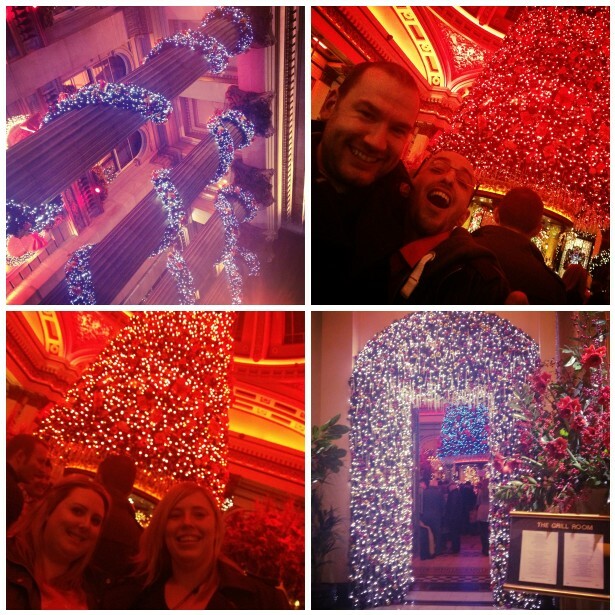 but it was just as fun having a walk around and soaking up the festive atmosphere! Have you been to a Christmas market yet this year?